A native of Platteville, Wisconsin, he is best remembered as the voice of 'Piglet' in several of the "Winnie the Pooh" animated films and television programs. Ironically he died one day after Paul Winchell who was the voice of 'Tigger.' He was also a talented stage actor. I remember that! His voice will always be seared into my mind. So sweet as Piglet, but I can remember it in other things... not sure what yet!! He was on the Odd Couple, movie and TV. He was the manager of that secure building, that Felix and Oscar wanted to live in. Also he owned a show dog that they doggie sat. My daughter has been watching the older ones so I had to do a search of who of them had died...And I thought hey,death hag material!!! 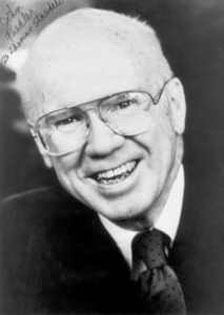 John Fiedler also starred in a very famous Twilight Zone episode as a store manager that complains about ne'r to well "Santa" Art Carney. A masterful piece of acting especially given that it was a weekly series! I remember him mostly from the Bob Newhart Show. You have taken hagginess to a whole new level!! Yeah we watch older movies and sometimes my wife gives me a quiz about if I know the actor we are watching has lived or died! Then she asks how, when and where they are buried!! So I have to keep on my toes!! I remember him from the movie "The Odd Couple" and "Harper Valley PTA". He was around a lot, certainly never hurting for work. That would have been a funny episode, wish I had seen it, but will definitely keep an eye out for it. I noticed he never married? Didn't know him by name but as soon as I seen his picture it was like 'ooooooohhhhhhhh'. LOL! That face and that voice. I remember him most on The Night Stalker as Gordy.